Food unites us. Sharing a meal with loved ones gives us the chance to connect, unwind from the day and share something special. But for some of us, getting everyone around the dinner table and putting together a meal doesn’t come so easy. Even if you’re not a pro in the kitchen, there are ways you can up your skills. 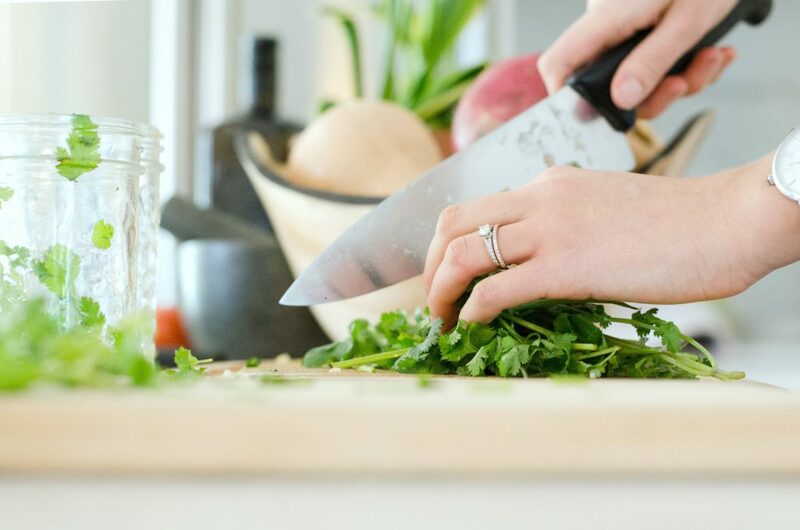 From starting at square one with the help of a meal-kit delivery service to eventually hosting dinner parties, here’s how you can make cooking at home more enjoyable. You don’t have to be a five-star chef to whip up delicious dinners. If you value convenience, consider opting for a meal delivery service. Companies like Blue Apron, Plated, Sun Basket and Purple Carrot take out the stress of putting together meals. Each individual company’s offerings differ, but they all have a few things in common. Similarities include customization of what types of meals you’d like to receive based on preferences or food allergies, most of the services are subscription-based and they all deliver fresh ingredients directly to your door, which means no hectic trips to the grocery store or fussing over ingredients in your pantry. If you’re new to cooking altogether, these services are a great introduction to the world of cooking and can help you learn how to put together meals on your own in the future. The kitchen should be a place in your home that you enjoy spending time in. If you find that you lack counter space, look for ways to reduce what you leave on them. For instance, instead of using your bulky knife block, opt for a magnetic knife strip instead. Lacking cabinet space? Utilize an empty wall and add your own shelving. You can even hang your pots and pans from the ceiling with a hanging rack. A well-lit kitchen can also change your attitude about cooking at home. A dark or dimly lit kitchen can benefit from task lighting. This style of lighting can be incorporated underneath your kitchen cabinets so that you can see what you’re working on, whether it’s seasoning meats or chopping veggies. There are some items no kitchen should be without. Do you know what they are? Many people new to cooking often lack the important tools they need to cook at home, which can hinder cooking at all. Every kitchen should have a stainless-steel skillet, a chef’s knife, a solid cutting board, an eight-quart pot, a large spoon, measuring spoons, measuring cups, a sheet tray, peeler and a fine mesh sieve. Add a little fun to your regular kitchen routine and host a party. Regularly hosting dinner parties can give you the opportunity to not only socialize with your friends and family over a nice meal but give you the chance to show off your cooking prowess or a recipe that you’re specifically proud of. Not all dinner parties have to be fancy. As the host, you make the rules. You can choose to have your own dinner party as formal or informal as you like. Pair your dinner party with your favorite Netflix show for a watch party of sorts. Celebrate the season of the moment by preparing dishes that feature specific ingredients that are in season. Or choose a theme and run with it. It’s your party after all. With the right kitchen tools, you’ve got the recipe for success. Now, what will you cook up? Previous Post: « The Wedding Guest Emergency Kit You Need to Have this Summer!